Do You Know The Various Roof Coating Types? Most homeowners are aware of the fact that roof coatings and the maintenance of your roofs are extremely vital to the home itself. Conversely, roofing maintenance can cost you a large amount of money, even for small repairs. This is one of the many reasons that homeowners should take the steps necessary to preserve their roofs. You have a few options when it comes to preserving your roofing systems. One of the most common and effective methods to protect your homes’ roof are roof coating applications. 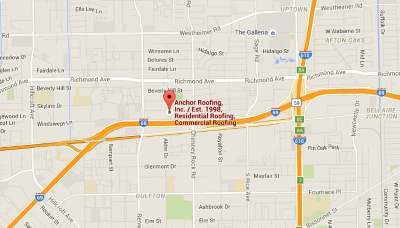 Roofing companies Houston experts can effectively guide you to choose the apt roof for your home. There are lots of effective strategies you can utilize to make your roof more durable but roof coatings are extremely efficient. This type of protectant is the most practical solutions when it comes to prolonging the lifespan of your roofs. They are many different selections to choose from. These products typically are manufactured so that they are waterproof and reflective. Also, certain coating product lines are available with long term no leak total system warranties to give homeowners extra protection for their investment. This style of coating helps to deter the deteriorating effects of extreme weather conditions and dangerous sun rays. These roofing products also help to control the climate of your home which leads to lower energy needed to cool your home. This is very beneficial to homeowners who are located in tropical or desert like climates with high humidity. Ask your roof repair Houston professional to install reflective roof coverings as these are definitely a product that will help you save money on your energy expenses, and possibly provide tax credits. Hence the name, this style of coverings for roofs offers a water resistant layer making your building’s roof watertight. If any liquid leaks were to occur in a premium coating system under warranty installed by a certified applicator then whatever corrective actions are needed would be covered within the terms of the warranty at no charge. These premium waterproof coverings provide sealing and waterproofing to your roof without the intrusiveness and expense of re-roofing. This type of roofing product assists to eliminate leaks that are a result of failure in the roof to be coated, and are best applied when a low sloped roof is near the end of its normal lifecycle to extend the roof cycle. Typically asphalt / aluminum coatings which are a mixture of asphalt and aluminum are used as a preventative maintenance step. This type of coating is losing market share to white elastomeric / acrylic coatings as many have Energy Star ratings enabling tax credits. This style of roofing product once widely used to extend the lifespan of the roofing system is slowly disappearing. White roof coatings are beneficial for the simple fact that they are reflective in nature and often help to lower the climate of the home. This is a significant accomplishment since this can lead to lower cooling costs, and also prolong the lifecycle of HVAC mechanisms as they reduce the load on them as the building envelope becomes more energy efficient. 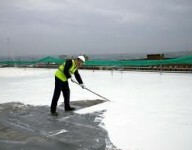 You have many options when choosing the ideal roof coatings for home or commercial building. For residential applications white coating products can also be tinted to match any color scheme; however this could affect the Energy Star rating that an Energy Star Rated product carries. White roof coatings come in both water based and solvent based products, as well as acrylic, elastomeric, and products that combine both acrylic and elastomeric materials.